In the United States, the discipline of human factors and ergonomics, is generally considered to have originated during World War II, although advances that contributed to its formation can be traced to the turn of the 20th century. Prior to World War II, the focus was “designing the human to fit the machine” (i.e., trial and error), instead of designing machines to fit the human. Many of the human factors and ergonomic advances originated out of military necessity. 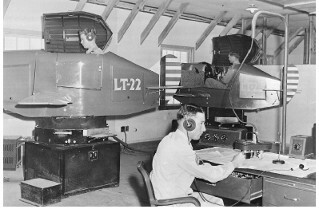 With the start of World War I, the first conflict to employ the newly invented airplane in combat, the need arose for methods to rapidly select and train qualified pilots. This prompted the development of aviation psychology and the beginning of aeromedical research. The outbreak of World War II, witnessed the tipping point where the technological advances had finally outpaced the ability of people to adapt and compensate to poor designs. This was most evident in airplane crashes by highly-trained pilots due to problems with control configurations.